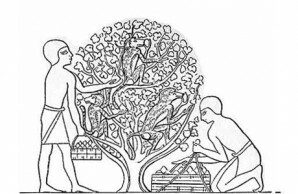 FRUIT GATHERING IN EGYPT: Picture, reproduced from a tomb at Beni Hassan belonging to the Twelfth Dynasty of the Old Kingdom, bears witness to the fact that monkeys were used by the Egyptians as fig-gatherers. Judging from the propinquity of fruit and mouth in the case of two of the apes, it is permissible to infer that in addition to assisting their masters, these animals occasionally helped themselves. In the issue of Science for February 7, 1919, I published a note entitled “On Monkeys Trained to Pick Coconuts,” the opening paragraph of which read as follows: “Readers of the Sunday editions of some of our metropolitan papers may recall that in the fall, the season of cotton-picking in the South, waggish space writers sometimes make the suggestion that monkeys be trained to do this work and that thereby the shortage of labor be relieved.” This statement was followed by quotations from the books of Miss Isabella Bird and of Mr. R. W. C. Shelford to show that in the East Indies monkeys are employed to pick coconuts for their masters. Picture is similar in character to the one above, but differs somewhat in details. It, too, is taken from a tomb at Beni Hassan and dates from the same dynasty. Both of these records are, therefore, several thousands of years old—by the lowest estimate about forty-four centuries; yet the practice therein depicted persists in certain parts of the world even today. “E. 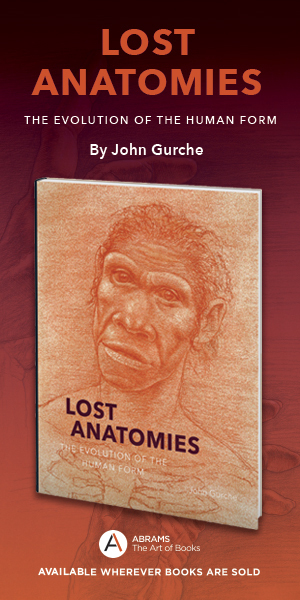 W. Gudger has recently called attention in Science to the use of monkeys as coconut pickers. The Malays and Bataks of Sumatra very commonly use monkevs in this way. The current English name for the monkey, Macacus nemestrinus, is ’coconut-monkey.’ The work of picking the nuts is performed in a way essentially the same as that described by Shelford and quoted by Gudger. “These monkeys not only work, but have a considerable commercial value as laborers. The price of a trained coconut monkey ranges from about $8.00 to $20.00; a price far above that put upon other common sorts of monkeys which are kept only as pets. Since I wrote my note in Science, there has come to my attention, as the result of considerable reading, a number of similar accounts reaching hack into remotest antiquity, and it has seemed worth while to bring all of these together, arranged in reverse chronological order, so that readers of Natural History may have available the record of this ancient but little-known example of coöperation between man and his fellow Primates. 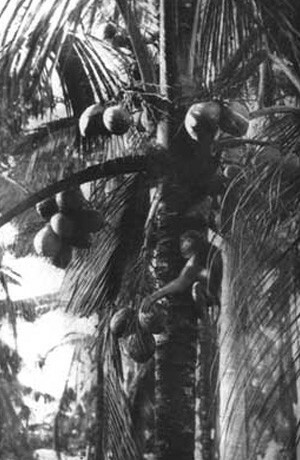 MONKEY GATHERING COCONUTS IN JAVA: These agile animals are trained to climb the coconut trees and detach the fruit. From below the owner of the monkey guides its actions by means of a long cord (not visible in the picture) that is attached to the creature before it is sent on its errand. 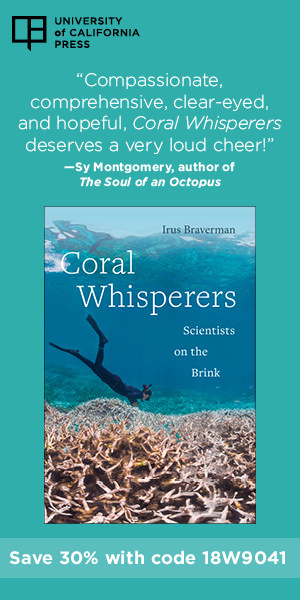 One of the most important of scientific voyages of recent times is that of the “Siboga,” sent out by the Dutch government to explore the waters of the East Indies in the years 1899-1900. Its leader was the distinguished naturalist, Dr. Max Weber. His wife accompanied him, and in her book descriptive of the voyage we find this paragraph relative to our subject. 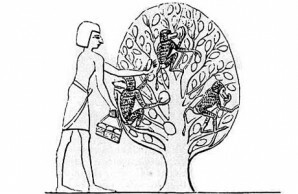 In Egypt monkeys apparently at times shared with men the tasks of harvesting. In the picture—the original of which appears as a painting on the tomb of Hui—one man and four monkeys are engaged in the common labor of picking the fruit of the dôm palm. For our next reference we must go back nearly one hundred years, in fact to 1757, when Pehr Osbeck’s Voyage to China was published. Edward Tyson closes his Philosophical Essay concerning the Pygmies of the Ancients, published in 1694 (London, pp. 101-02), with a reference to the activities of certain trained monkeys as recounted by three authors antedating him. Instead of giving this citation, the authors concerned will be quoted directly. It is perhaps needless to caution the reader that they wrote at a time when nature-faking was not condemned as it is today. Going back still farther, in Petri Gassendi’s life of the French scholar, Peiresc, published in 1641, is found the following interesting statement which agrees with the foregoing, in so far as the author’s very unclassical Latin can be made out. For our next citation we must delve into the past about 1400 years to Philostratus called “the Athenian” to distinguish him from others of the name. Philostratus, who was born circa 170 A.D. and died in 245, was a disciple of the Greek Pythagorean philosopher, Apollonius of Tyana, who was born a few years before the Christian era. Apollonius traveled extensively and among the countries he visited was India. He died at the age of about one hundred years at Ephesus where he had established a school. 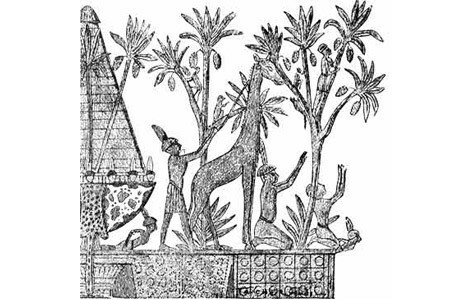 Our next excursions in ancient history take us to the valley of the Nile and here we find in paintings on the tombs three illustrations of monkeys serving man. To one of these I am unable to assign any date whatever, but for the other two fairly definite times can be set. This figure is credited to Lepsius’ great work (Lepsius, R. Denkmäler aus Aegypten und Aethiopien, Vol. IV, Section 2, p. 127), from which we learn that it is reproduced from a tomb at Beni Hassan belonging to the Twelfth Dynasty of the Old Kingdom. According to accepted Egyptian chronology the Twelfth Dynasty dates from 2800-2500 B.C. or according to Petrie (1906) its time was 3450 years before the Christian era. And in this remote antiquity monkeys had been trained to perform menial services for man. Yet another figure and reference remain. Sir Gardner Wilkinson in his great work on the ancient Egyptians, has this to say on the subject. “Monkeys appear to have been trained to assist in gathering the fruit, and the Egyptians represent them in the sculptures handing down figs from the sycamore-trees to the gardeners below; but, as might be expected, these animals amply repaid themselves for the trouble imposed upon them, and the artist has not failed to show how much more they consulted their own wishes than those of their employers. From Wilkinson is reproduced the accompanying picture showing monkeys gathering fruit. This figure, also from the tombs of Beni Hassan, is very similar to that reproduced from Erman but is different in details. It likewise dates from the Twelfth Dynasty. Here then we have accounts and illustrations showing monkeys gathering coconuts in Java in the present year of grace, and at the other end of the time scale we have Egyptian rock paintings and carvings showing how monkeys assisted in gathering figs and dôm palm fruits not later than 2500 b.c. and possibly as early as 3450 years before the birth of Christ—at the lowest figure a range of more than 4400 years, at the largest a range of 5370 years. Verily there is nothing new under the sun.